It's easy to assume that local beer can exist simply because there are farms near cities where people drink beer. Easy right? Well, in between the grain harvest and the brewery, barley must be malted. First, the grains are soaked, allowed to sprout, then roasted to convert starch to sugar and it's this sugar that is fermented later in the brewing process that converts to alcohol. This malting process, however, is seldom done by a brewery and until recently there were very few malsters around. So even if the barley is grown locally, often it needs to be transported by truck to a malster far away, and then transported back. It's a problem that most brewers face. In steps people like Phil Neumann of Mainstem Malt to help put the right malts in the right hands. 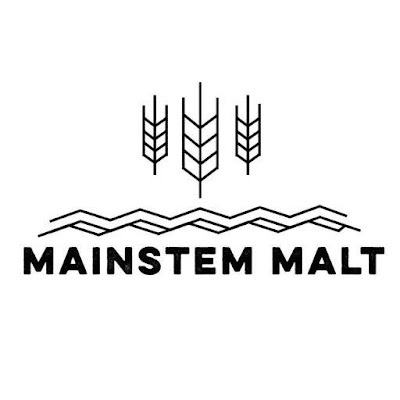 Mainstem Malt helps connect the malsters with the brewers. He specializes in connecting barley farmers with a strong ability for preserving water quality and conserving water resources to brewers who want to demonstrate that their supply chain has protected the natural resources it depends on. Furthermore, Mainstem is pending B Corp certification and working with farmers to achieve Salmon Safe certification. Do malsters enable sustainable beer? 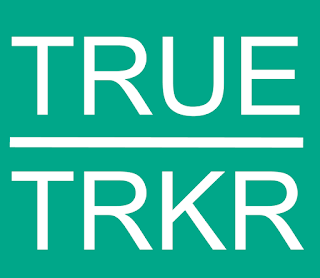 Without a doubt, maltsters can make or break the pursuit of sustainable beer. Partly in how they malt the grain, but much more so in how they source it and their relationship with the farmer. Agriculture can have a huge impact on the landscape without good stewardship, and it's tough for a farmer to be a good steward without some degree of financial stability. So if maltsters are sourcing grain by volume, price, and a basic measure of quality, my belief is that the farmer and environment both lose out in the long run. If maltsters are encouraged to go beyond those basic criteria, however, they can facilitate a great deal of positive change. How has this affected local agriculture? At the end of the day, the real driver of sustainability is the consumer. The maltster can generate environmental and social benefits, but those are not cheap and the consumer will have to foot the bill. Working to everyone's advantage is the fact that malt is a relatively small part of the final price of beer. Ballpark, we're talking 5% of your $10 craft six-pack at the grocery. There is a bit of revolution happening right now in the malt supply chain. I don't see it as a very forceful one, but I do see it as disruptive to the status quo. A long history short, the vast majority of the world's malt is now produced by multinational corporations. I find "big malt" to be a fair name. These maltsters have done a good job and definitely have economies of scale on their side, but it isn't the kind of industry that supports a more localized agricultural economy. Enter a wave of small-scale "craft maltsters" who are coming to market with small-batch malts and focusing on locally-to-regionally sourced grains. It's a whole different animal. Craft malt was hardly a blip on the radar 5 years ago. The Craft Maltsters Guild formed as the core industry association shortly thereafter and now there are over 100 malt houses in various stages of development around North America. Nearly all of the craft maltsters out there are featuring some aspect of social and environmental sustainability, and transparency underpins the whole thing. It's going to mean a lot more power for the consumer and local agriculture will surely benefit. Major challenges and rewards at this point? There have been plenty of both, that's for sure. The biggest challenge by far was in August, trying to make sense of a failed fundraise to build Mainstem's own malt house. That was a year and a half of work my wife Alyssa and I were close to walking away from. The biggest reward came after that low spot when we pivoted to a much different and more ambitious business model. The current model hands over the malting process to partnering malt houses and allows us to focus on the supply chain and marketing aspects of the business. Now I see that failure as the single most delimiting event along the timeline of the business. Hopefully managing rapid growth is the next big challenge. What's happening in the next five years for Mainstem Malt? That's anyone's guess at this point. With or without Mainstem Malt, the craft maltsters are going to make a huge impact on the malt industry. That, in turn, is going to fundamentally change the role of beer and spirits in our lives, I think for the better. And if current trends continue, I believe Mainstem will maintain an important place at the cutting edge of the whole endeavor. What I look to bring to the industry is a unique form of collaboration. I want Mainstem Malt to be a positive, fun, and unifying force that keeps the industry tight and moving forward. What I've always looked to get out of it is a market-based system to support on-the-ground water conservation work. Water is my profession after all. So as craft malt houses pop up and grow around the West, our plan is to work within their excess capacity to develop environmentally and socially sustainable malt supply hubs under the Mainstem brand. In 5 years, hopefully, we'll see as something like "the Patagonia of malt." I know the potential is there, at least. Two happy malt sacks, ready to serve! Our focus in the meanwhile is on proving the model in the Pacific Northwest. Our 2016 vintage features Salmon-Safe, dry-farmed grains from the Walla Walla Valley and Athena locales, and the resulting malts are coming out beautifully. In coming crop years, we look to expand into some exciting new locales and pilot our "Sprouting Streamflows" program with irrigated farmers. We're currently working with some top-notch brewing and distilling clients, both locally and regionally, and hope to add some flour suppliers and bakers to the mix. If folks are interested in what we're doing, they should definitely follow us on social media and keep an eye on the website. We're going to do a lot to connect consumers to this supply chain and it's going to be a fun process. Additionally, folks can use the #MadeWithMainstem hashtag to follow our clients' product stories. Going forward, we look to add a more sophisticated finished product tracking utility to the mix. SJMConsults would like to thank Phil Neumann for his time in sharing with us some of his experiences. Don't forget to use the #MadeWithMainstem hashtag to follow Mainstems Malt's clients and product stories. See some examples below.